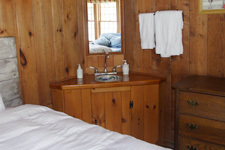 All our guest rooms at The Sunny G B&B have a private bath. 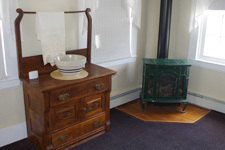 All rooms have a private bath, high-quality mattress, fine linens and are soundproofed. All rooms have a private bath, high-quality mattress, fine linens and are soundproofed. Rooms include a full country breakfast and snacks, Also included is wifi, cable tv, fax services, and use of a refrigerator and freezer. Our two suites include all of the amenities of our other rooms plus each suite has a separate sitting room with daybed, fireplace, and double whirlpool tub. Click through our rooms to see each room’s amenities. For the comfort of all our guests The Sunny G B&B does not permit pets or smoking in the house. Guests who wish to smoke may do so in the garden. Please be aware that certain weekend nights may require a minimum stay. To hold your reservation, we require a deposit of one night’s stay or half of your total stay. If you need to cancel, we’ll be happy to return your deposit minus a $20 cancellation fee, provided your room can be re-booked. Copyright © 2018 Sunny Grange B&B. All rights reserved.